It’s impossible to sum up Francesco Algarotti in a brief description. Scientist, historian, poet, diplomat, philosopher, art critic and dealer, Algarotti was Italy’s best known and most respected man of letters during his lifetime. Given his lack of recognition today, he may also be one of history’s greatest forgotten men. I had never heard of Count Francesco Algarotti when I stumbled on his name during my research for The Merchants of Light. But, like so many before me, I quickly fell for this brilliant, cosmopolitan, gorgeous son of Reason and made him one of my narrators. Born in Venice to a prosperous family of merchants, Algarotti showed an early aptitude for learning, excelling in mathematics and natural sciences. He attended university in Rome and Bologna and won fame for reproducing some of Isaac Newton’s experiments with optics, work for which he was made a fellow of the Royal Society in London. Visualization of Algarotti’s World from the Mapping the Republic of Letters project at Stanford University. From this point on, Algarotti lived at the epicenter of Europe’s thriving intellectual community, moving in the company of the era’s most learned and influential people. He won the respect of kings, like Augustus III of Poland, and fellow scholars, like Lodoli, Voltaire and Maupertius. He traveled all over Europe—Paris, London, Lapland, Berlin, Saint Petersburg and beyond—and corresponded with the intellectual greats of his age. Everywhere Algarotti went, he inspired admiration—and often love. With suave good looks and devastating personal charm, Algarotti became a sort of Englightenment pin-up boy. Clever Mary Wortley Montagu fell for him like ton of bricks, fought with her friend Lord Hervey over his affections, and chased him all the way to Italy, without ever catching him. Frederick the Great, King of Prussia, had better luck. The two young men met in 1739 when Frederick was Crown Prince. They immediately sat down and wrote a cantata together. As soon as Frederick ascended the throne, he made Algarotti a count and summoned him to Berlin where he formed part of the all-male coterie of intellectuals Frederick liked to keep at his side. 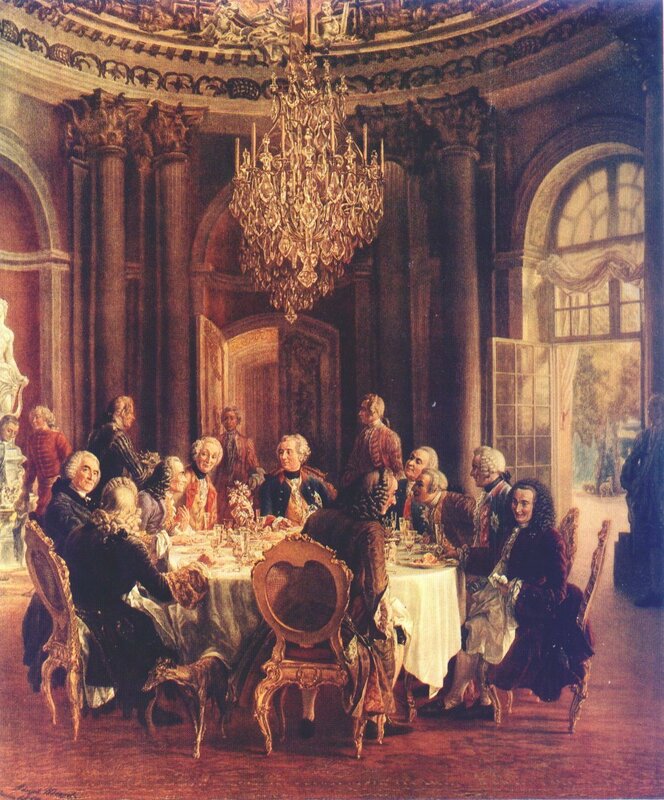 The nature of the relationship between the king and the handsome Venetian has long been cause for speculation and controversy among historians—and the meat of out-and-out gossip, notably that circulated by Voltaire. We may never know the truth, but we do know that Algarotti remained at Frederick’s court for many years. When he died in Pisa in 1764, Frederick put up a memorial to him and wrote his epitaph: Algarottus non omnes (Algarotti, but not all). Today we know Algarotti best though his extensive literary and scientific writings. He produced a large body of influential works on a range of subjects including language, opera, architecture, and, especially, painting. He published inventive travelogues and also the charming little volume, Newton for Ladies, which makes an appearance in The Merchants of Light as a gift for Cecilia Tiepolo. 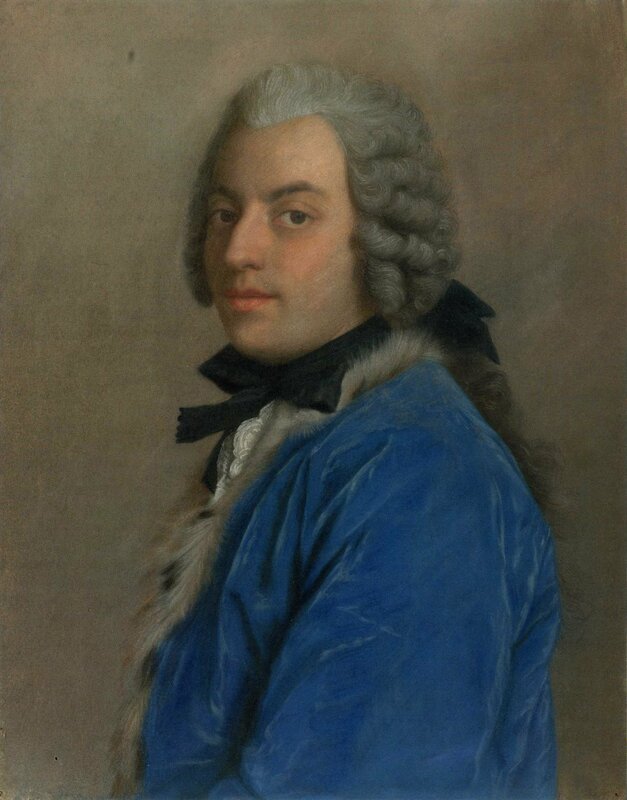 Algarotti’s involvement with Giambattisa Tiepolo dates from his return to Venice in 1743 on a mission to buy art for Augustus III, King of Poland. While Tiepolo failed to produce the three commissions Algarotti first asked for, he did produce several works for he king including The Banquet of Cleopatra. More importantly, the two became lifelong friends and would remain in correspondence until Algarotti’s death. Illustration for Newton for Ladies by Piazzetta. 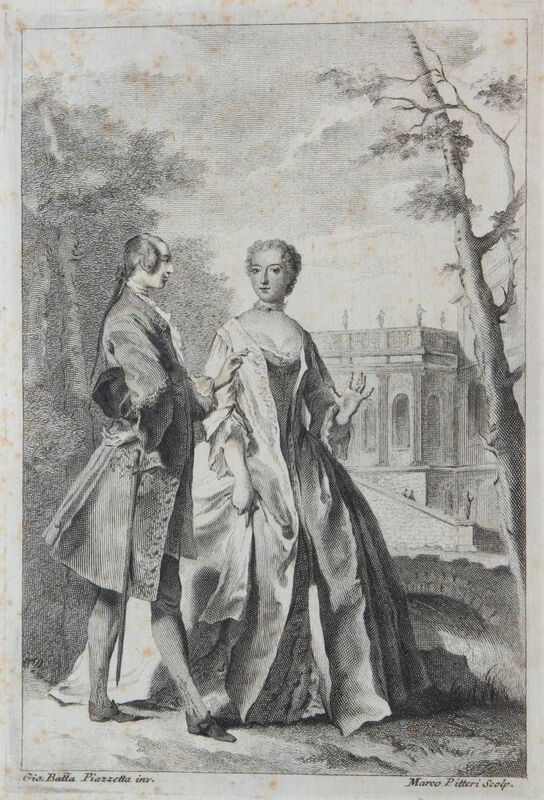 Algarotti modeled for the engraving along with his friend, Emilie de Châtelet, Voltaire’s mistress. 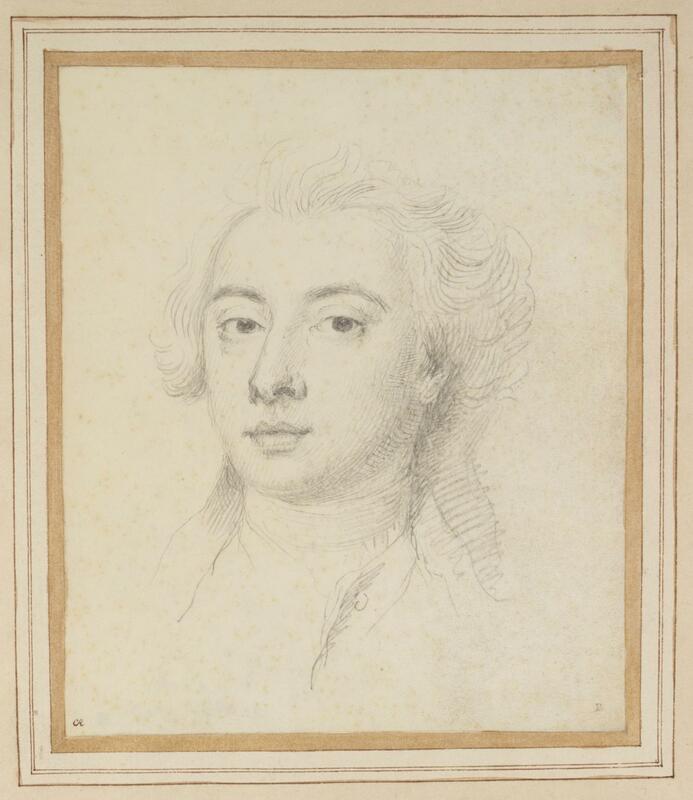 Francesco Algarotti by Jonathan Richardson, 1726–gorgeous! Image credit. The diagram of Francesco Algarotti’s Travels from Mapping the Rebublic of Letters was designed by DensityDesign.